Bob Cringely has talked about his nosy uncle whose name happens to be Sam! 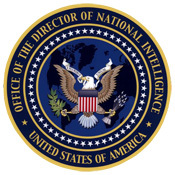 And the news is that the Deputy Director of National Intelligence, Government of U.S of A, Mr. Donald M. Kerr has staked a claim to all of your Internet records. Well, is the news purely US-centric and hence doesn’t affect you? Well, you have another think coming. The majority of records of gTLDs are housed in US and again the vast majority of web servers are hosted within the boundary of US. In simple terms internet is virtually controlled by the Uncle Sam. So, it is something that concerns every one of us! Let is see why the big deal! Why is our friend Cringely screaming? He must have some valid point to make, going by his credentials! Too often, privacy has been equated with anonymity; and it is an idea that is deeply rooted in American culture. The Long Ranger wore a mask but Tonto didn’t seem to need one even though he did the dirty work for free. You would think he would probably need one even more. But in our interconnected and wireless world, anonymity or the “appearance of anonymity” is quickly becoming a thing of the past. Yes, they really are creating dossiers by correlating information across social networking sites. Better scrub that “I (heart) Osama” jpeg from your MySpace page. And with all your online activities including search records being logged feverishly by everyone across the data stream, it is a piece of cake to piece them together and get at you within a millimeter!